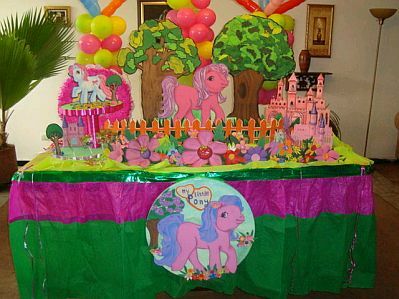 Today, one of the children's favorite subjects for girls, is the animated series My Little Pony, they are gentle horses with long colorful hair, full of ornaments, so if you intend to surprise your little girl with a party unsurpassed birthday, how about decorating with these sweet characters. 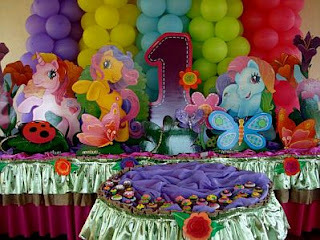 Here are some ideas you might find helpful. 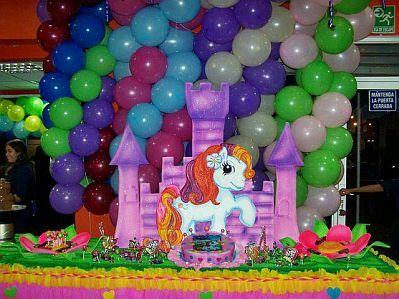 In this first image have a pony in front of the castle, in the back, balloon columns, you cause the perfect effect. Here, you also have balloons in the back, before the trees and flowers, and among them, four of the characters from My Little Pony. 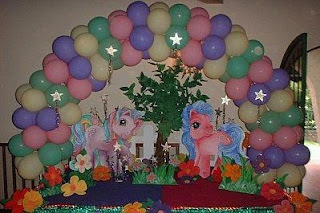 This decoration is very similar to the previous one, except that there is only one Little Pony. This proposal is similar to the previous one, the difference is that in the middle of Little Pony, is the number of years of the party owner . 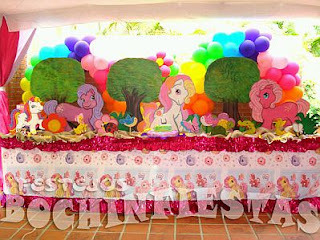 The balloon arches always get very good results, and in this case, are very good with the colors of the three Little Pony table. 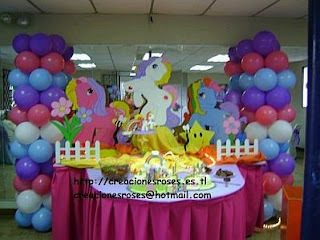 Here's another bow with multicolored balloons and in the middle two characters of My Little Pony. Flowers made with balloons, are a cute and cuddly backdrop, just before placing the sweet Little Pony. 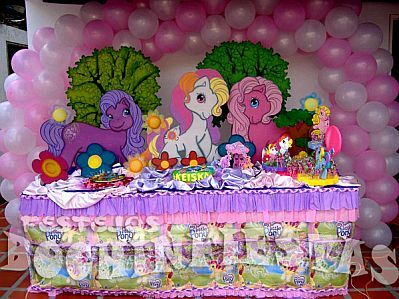 The side columns of balloons, and amid the characters from My Little Pony are always a nice option. 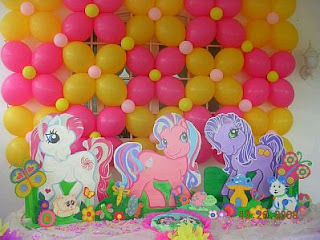 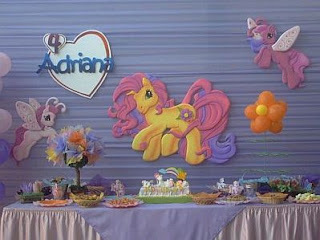 But if you prefer balloons decorations without or with very few of them, here we bring you three suggestions, in this first you have two Little Pony, and amidst a sign with the name of the party owner. 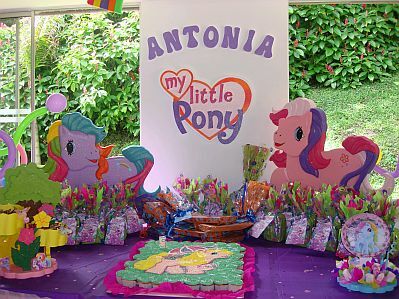 The cloth pads and the Figures of My Little Pony, are an excellent choice. 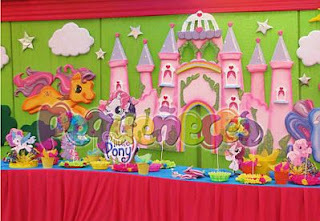 Or if you prefer, place a castle and the Little Pony, in high relief, is a very good idea.